It was after one particular event with over 1,000 people, when Kahn watched mountains of food go into the bin, she realised she could no longer be a part of the food-waste problem. Starting off with a single van, she set about collecting excess food from companies to donate to charities that fed disadvantaged Australians. She quickly realised the problem was far larger than she had first thought, and that she might need another van. 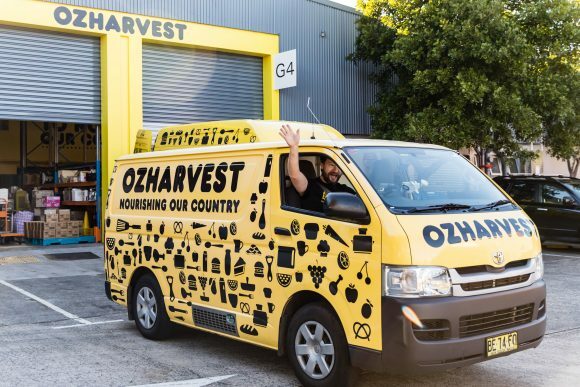 After successfully changing the law to make it safe for companies to donate surplus food after events, OzHarvest has grown from strength to strength, operating from eight cities around the country, opening a “rescued food” supermarket, and running food education programs with a focus on food sustainability. 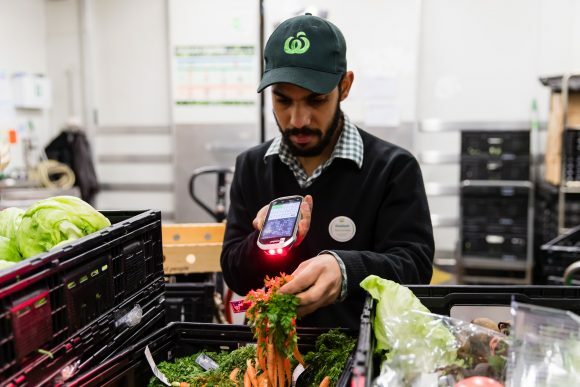 The organisation also partners annually with the United Nations Environment Programme to raise awareness on food wastage, and is working with the Australian government to halve food waste nationally by 2030. 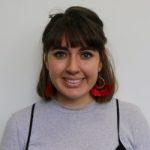 In this week’s Changemaker Kahn, one of the winners of this year’s Impact 25, talks about sustaining growth in your organisation, the enormity of food waste, and living with gratitude. What inspired you to start OzHarvest? In my previous business, which was a boutique event management company, every one of my events had leftover food, because food is about generosity and sharing, and my job was to make my clients look very successful, and to make sure they looked generous. But that also meant there was always a lot of waste. There was one event in particular for 1,000 people, and I had market stalls that were just groaning because of the amount of food I was using for this event. There was lots of booze and lots of food, and people drank lots of booze and didn’t eat lots of food. By the time you end an event of that scale and size, you know that nobody wants to touch that food, and it’s just easier to dispose of than worry about what you are going to do with it afterwards, and that’s what the caterers did. It was so unconscionable for me to keep perpetuating the issue, which is really what I was doing. 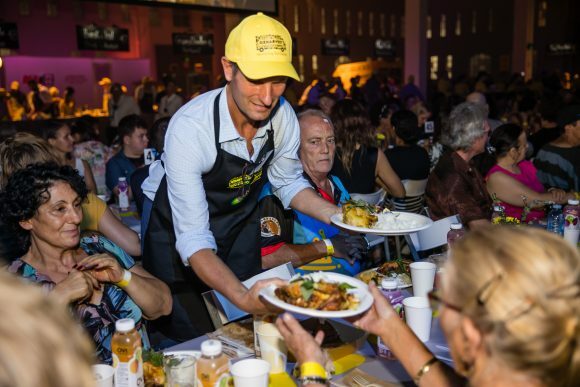 When I started OzHarvest, I just thought I’d go to my colleagues in the event industry, but waste was everywhere. It was only once I decided to do this and find a solution for myself, that I realised the scale of the problem. Food waste is being talked about a lot more these days, have you seen a positive change in the conversation since starting OzHarvest 14 years ago? There’s absolutely no doubt that we are a 14-year overnight success. For 14 years we’ve been drumming on about a problem that has finally galvanized national and global interest. There’s no doubt we’ve been influential, and part of that shift. There is a much greater awareness now, but it still needs to be harnessed, and turned into the movement that we are trying to build. It will take time though, because changing and transforming behaviour is very complex. Your organisation has really gone from strength to strength, how have you been able to manage its growth effectively and still have the same impact? As an organisation we have a very clear purpose. That is to impact the lives around us, whether they be the disadvantaged, our staff, the people who support us as volunteers, or our corporate partners. Our intention is very clear and we are here to make the biggest impact possible. We’re not here to make money, we’re not here to be a bigger organisation for the sake of being a bigger organisation, we have grown because we are filling a need, and identifying what could be done better. That is really the proof of why we’ve been successful. The problem is that there is too much food going to waste, and too many people going hungry. So to fix that, we started a free supermarket of surplus food, so that those people can be treated with dignity and respect, and have access to something that had never been done before. Is having measurable impact a key to your success? I think it’s more about our transparency. Every dollar allows us to deliver two meals, and it’s all about the value proposition, how we do more with less. We deal with other people’s money, and what we want to do is get the biggest impact we can, and keep asking ourselves what more we can do. If we keep working with vulnerable people, how are we going to up-skill them? We have our nourish program, which takes 16- to 25-year-olds and puts them through hospitality training, with a commitment to giving them a job. It’s about breaking the cycle of intergenerational disadvantage and changing the face of that 4 million number. Will we change all 4 million? Probably not, but we’ve already impacted over 200 kids and that’s 200 more that have [a better] chance now than they had before we started. What does an average day as CEO of OzHarvest look like for you? I might start with a 7am meeting to say hello to our van drivers, to find out how everyone is doing, then go straight onto a marketing meeting, or straight onto a government meeting – I’m on the national food waste steering committee. I might meet with funders, come up with ideas with my team to check in with what is happening in the business. I don’t run the day-to-day business now, but I’m very much across what happens, when it happens and how it happens. I might have a couple of staff interviews because I do the final interview for anyone that comes into our organisation. With such a culture-driven organisation, it’s about bringing the right people into our family. And then I might have an event at night. It’s pretty full on! Do you enjoy being so busy? Well I haven’t had a day’s work since I started OzHarvest. When you love what you do it isn’t work, and I love it. I wouldn’t be doing it if it didn’t bring me joy, and I’m filled with gratitude that this is what I get to do every day, and that is a very powerful place to be. What advice would you give to someone who wants to get into the sector and make a change? If you have identified a problem, or a challenge, before you say why doesn’t someone fix it, look and see whether that someone is you. If the problem is already being fixed then add your skills, services, and your passion to somebody that is already doing something. I’ve been particularly blessed in that nobody was doing what I was doing when I started. Starting this organisation is definitely not what I thought I’d do, and wasn’t what my childhood dreams were, but clearly it is my path. What I know now is that I started this because I needed to. But if today I didn’t come up with a great idea that didn’t exist, I’d take my skills and passions for something I believed in and offer it to a cause that I believed in, if I thought I could add value. It is about adding value, not necessarily about being the founder or being the leader, we’re all leaders without a title, we can all lead, it’s just we don’t all have to lead our own organisation. That goes for if you’re in the corporate world, a for-purpose, or a for-impact organisation. Living with gratitude and waking up every day and knowing that adding the most value you can to the world we’re living in is a very humbling, but exquisite feeling, and I wish that for everybody. That they find something that gives them meaning and purpose and helps all of us to live the life we want to live.